Finding activities to keep children entertained can create a successful babysitting job. Have plenty of activities and crafts in mind, and you will provide entertainment and fun for the children you are watching. From indoor and outdoor play to games or crafts, you can create an entertaining evening for yourself and the children. Games aren’t just for kids; they can be great for the babysitter. Board games offer structured play, with rules and strategies. Be mindful to take the age of the children you babysit into account when choosing a board game. Kids love crafts, this is a creative way to pass time while you are babysitting. From the simple craft ideas for the youngest children to more complex for the older children, you will find that the time passes quickly and the children are content and happy while creating. Be sure to assist the younger children while making sure that it stays their creation- (in other words- be sure not to make them color it a certain color- or put this sticker here, and not there… ) allow them to be creative. When you are babysitting think about taking the children outdoors for nature walks or to an open field to fly a kite. Be sure to get permission from parents’ first before venturing out. Playing with the family dog or cat can be another fun activity. On a sunshiny day, a picnic with playtime activities just in the back yard will be a fun change for the children. 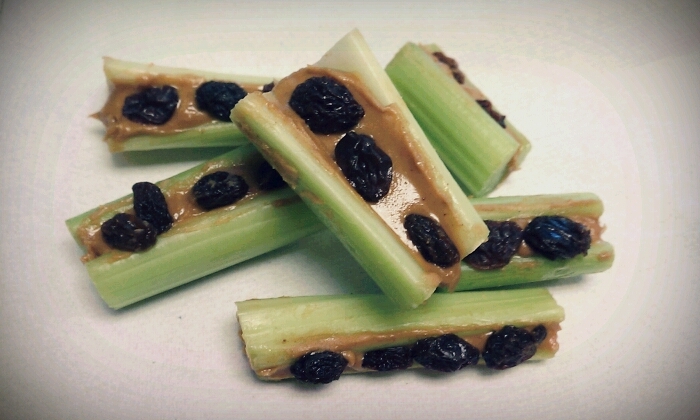 · Be sure that you get the parents permission and only use “clean” finger snacks like Cheetoes, sandwiches, fruit snacks, for example- don’t use anything that can spill or stain like milk, yogurt, or ice cream. Lay out a blanket and use a basket or a backpack to “tote” all the snacks in. Use your imagination to pretend you have to hike in the mountains, on the beach, or in a park. Build a fort out of blankets, or sheets (use chairs, couches, clothes pins, yarn- anything to hold up the blankets!). Have a picnic inside the fort you just made, or read books together in it or color in the fort. Make sock puppets, paper bag puppets, or even bring some of your own, then write a play using your puppets – do not make it too complicated- children like easy things so they don’t become frustrated or bored. Water colors, painting- use aprons to cover clothes- do not allow children to use water colors or other paints without aprons- children will always get their clothes dirty with paints especially when you don’t want them too. Color with crayons. Take off the wrapper and see the different ways you can color with them. Make your own indoor hopscotch, tic-tac-toe or bulls-eye with masking tape on carpet, and use bean-bags or small stuffed animals to toss or use as X’s and O’s. Make a letter book. Let the kids draw a picture of something that starts with each letter of the alphabet. Play board games- some they already have or bring something new (remember to make it one that everyone can play). 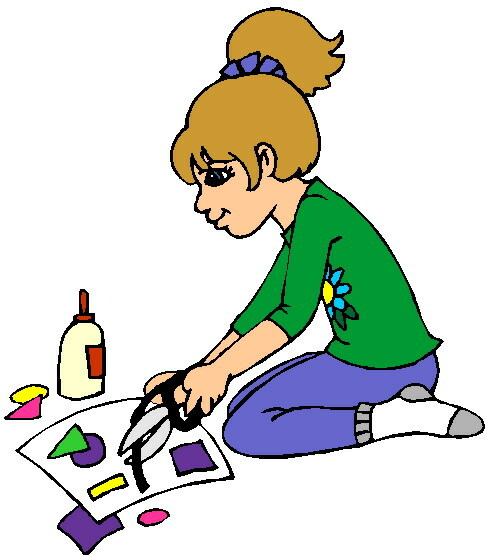 · Using poster board or cardstock, color a picture from a coloring book or the Children’s Friend, or find a good clean picture from a magazine, cut it out, glue it on a piece of construction paper or cardstock, using a glue stick, then cut it our in random shapes. · Use 3×5 index cards, then make your own matching pictures- have one child draw 2 pictures of a triangle (one on each card), 2 squares, 2 circles, or with older children you can have them draw, 2 houses, 2 trees, etc. · Find stickers (with 2 or more of the same picture or object) place them on the 3×5 index cards. Matching game with ribbons- cut two ribbons of the same pattern or color. Mix them up in a bowl, baggie, or basket. Make a necklace with yarn, beads or Fruit Loops. Play with Play-dough- use rolling pins and cookie cutters. Sculpt clay, let it dry, and then paint. Play Dance PARTY or choreograph a dance number. Play “house” with a mommy, daddy, and grandparents… use dollies for babies and children. 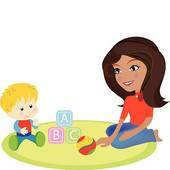 Play school–have the child be the teacher. 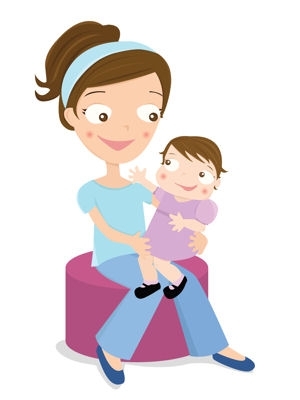 · Have one child go out of the room while all the rest hide a small stuffed animal, or object in the room, bring the child back in- every time the child gets closer to the hidden object say warmer, every time the child gets further away say colder. Read nursery rhymes, teach them actions to them. · Have a few different sized buckets (bowls, garbage cans, or even create cirlcles/line on the floor with masking tape) and have kids throw balls, small stuffed animals, or bean bags. Read a book then act out the story. Make a paper countdown chain to Valentine’s Day or an upcoming birthday by cutting strips of paper and stapling them together. Hard noodles, beans, dried rice, Elmer’s glue, and paper … need I say more? · Take 2 of your swimming pool water noodles and prop them on the stairs. Play Barbies, Littlest Petshop, Polly pockets, or other toys that they have- sometimes it is fun for the children to play with their own toys with someone new. Play with matchbox cars- Make a car track all around your house with masking tape. Make paper princess/king crowns, rings, bracelets, necklaces, etc. Play red-light, green-light, what time is it Mr. Fox; duck, duck goose, Simon Says, or My doggie won’t bite you. Make a story book out of paper. Have them make it up and draw the pictures. Read their favorite book to them. Make flash cards (letters, sounds, addition, etc.). · Stuff socks into toilet paper rolls and line them up. Roll a ball into them and you have your own bowling alley! Play grocery store with toys. Let them check out with plastic bags. · Jab the ends of the toothpicks into the marshmallows and make cool stuff. · have two ropes (like jump ropes) on the ground 1 foot apart and have them try to jump over them. Every time they make it move the ropes farther and farther apart. · Play some restaurant role play with the older kids when you are trying to get them to eat. Babysitters can be waitresses and the younger kids are their customers. · The kids get to pick their occupation and everyone acts it out. · Every kid is told to make the sound of an animal and the others have to guess the animal. · Bring your favorite childhood books and share them with them! 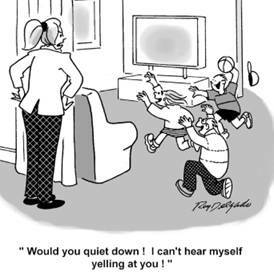 · Kids love to sing…sometimes the same songs over and over. These don’t need to be new songs. In fact, the kid standards might be the best because there’s no teaching required. Examples: LondonBridgeis Falling Down, Ring around the Rosie, and Wheels on the Bus Go Round and Round are all great starters. Head, shoulders, knees, and toes, eyes, ears, mouth, and nose. Sing song and point to parts of the body. Or, sing slowly and move parts of the body as they are mentioned. For example, nod head, shrug shoulders, bend knees, stand tiptoe, and so forth. From the top of my neck way down to my ends. But I have to be hinges, or else I would crack! I have two little hands, folded snugly and tight. When two little hands have learned how to obey. Oh, here we are together in our family. Once there was a snowman, tall, tall, tall. In the sun he melted, melted, melted. In the sun he melted, small, small, small. Blossoms popping right before my eyes. A popcorn ball that would smell so sweet. Popcorn popping on the apricot tree. Do not let it stay. And smile that frown away. No one likes a frowning face. Change it for a smile. By smiling all the while. Give each child a cotton ball. Use a piece of yarn as the finish line. Have the children get behind the line on their hands and knees and blow their cotton balls across the floor. Whose ever crosses the finish line first wins! · Gather several small waterproof objects from around the house, like spoon, a toothpick, a plastic toy, a key, a comb, and so on. Fill a large bowl with water. Using one item at a time, ask the children if they think it will sink or float, then place it in the water and see who guessed right. · Set out a laundry basket or tow. Give the kids socks that have been rolled up into ball shapes. Let them throw the socks in the baskets. · Variation: For each basket that the child makes, move the basket farther away to see how far they can stand back and still make a basket. To play, gentlystrike the glasses with a mixing spoon. Note: This instrument should probably be played by older children in “the band” because of the use of glass and water. As members of The Church of Jesus Christ of Latter-day Saints, we recognize that both our temporal well-being and our spiritual well-being are important. By learning how to avoid accidents and how to take care of some common accidents, we become better prepared to protect and take good care of our temporal bodies. It is also important that we have some basic first aid skills. When we are prepared, we are better able to serve and bless others as well as ourselves. Just like the Parable of the Good Samaritan (Luke10:29–37) we need to know that caring for others is not only important it is a responsibility. Most babysitting jobs go smoothly and the worst thing that happens is a fight over the last Popsicle. But for the rare times when an emergency does happen, you need to be ready to handle it. That means thinking ahead and planning for anything that could happen. It may seem scary to think about this stuff — it certainly reminds you of this big responsibility that babysitting is. Its not likely you’ll ever need to react to a serious emergency, just knowing what to do can help you feel more in control and confident. Plus, knowing things like CPR or the proper way to do the Heimlich maneuver could give you an edge over other babysitters: Parents feel much safer when their sitters know these lifesaving techniques. Some emergencies — such as choking or seizures — require that you know the what to do. Before you even begin babysitting, it’s a good idea to learn basic first aid, the Heimlich maneuver (for choking), and infant and child CPR. These allow you to begin providing emergency care to a child while you are waiting for the ambulance to arrive. I found the a lot of the following information at : http://kidshealth.org/ I have-however, changed a few things to better suit what I wanted to talk about. Preventing choking is much easier than treating it. When you arrive at your babysitting job, make it a habit to get down on the floor and scope it out to search for any risky items within reach. Remove anything that could be dangerous. When feeding kids, have them sit down and keep them calm while eating to help them avoid choking. Don’t give kids younger than 4 any hard, smooth foods or any of the foods listed above. Always cut food into small pieces for toddlers and preschoolers. If a child begins to choke, can’t make sounds, or is turning blue and you know the Heimlich maneuver, do it right away. If you haven’t had training in this maneuver, call 911 immediately, then call the parents. Don’t pat the child on the back or put your finger in his or her mouth — this could make things worse. If the child can make noises and cough, it’s best to stay calm and watch to be sure things don’t get worse. The episode will usually pass. Contact the parents as soon as you can to let them know this has happened. Call 911 immediately and then call the child’s parents. Remove clothing from the burned area, except clothing stuck to the skin. Run cool (not cold) water over the burn or place a cool wet cloth on the burn to lessen pain. Gently place a gauze bandage on the burn. Do not apply home remedies, such as butter, or use household ointments. Do not break blisters that have formed. 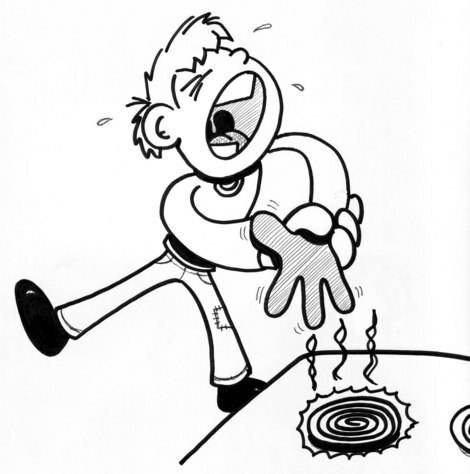 Keep kids away from hot objects like curling irons and radiators. Don’t drink hot beverages like hot chocolate around babies or children. Know how to find and use all household fire extinguishers. Prepare hot meals only when kids aren’t in the kitchen. Check the bathtub water temperature before kids get in. Bug stings and bites can be irritating, but the symptoms usually disappear quickly and don’t require medical treatment. Some kids, though, can have an allergic reaction to an insect sting or bite — and sometimes these can be life-threatening. If a severe allergic reaction happens, a child will require immediate medical attention. Apply ice or a cool, wet cloth to the area to relieve pain and swelling. If a child shows signs of a severe allergic reaction, call 911 immediately and then call the child’s parents. Don’t allow children to walk barefoot in the grass. Don’t let kids play in or around garages, attics, basements, woodpiles, and places spiders may be. 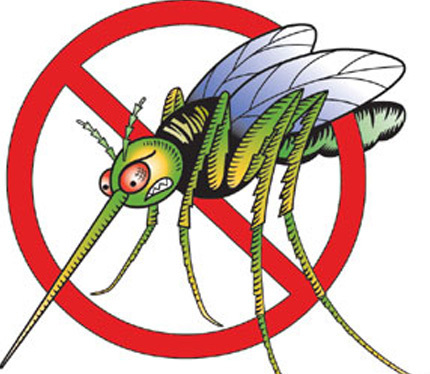 Keep children out of areas where you know there are insects. Keeping all beverages closed when outside. Many kids get cuts from a bite caused by another child or an animal, falling down, or using sharp objects like scissors. Minor cuts can be treated at home but more severe cuts need medical attention. The cut is small and shallow. · Rinse the cut with warm water and a mild soap. 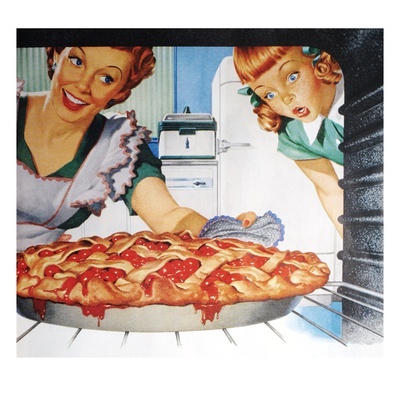 · Apply an antibacterial ointment if available. · Cover the cut with a clean bandage. Raise the injured body part to slow down bleeding. 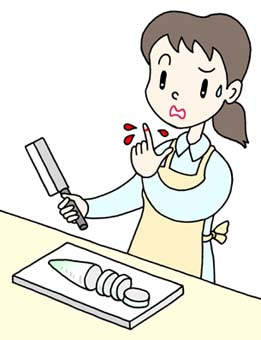 Rinse the cut with water and apply pressure with a clean bandage or cloth. If blood soaks through the first bandage or cloth, place another cloth or bandage over the first and keep applying pressure. If the cut is bleeding so much that bandages are becoming soaked with blood, call 911 immediately. After calling 911, contact the child’s parents. Keep children from playing around table corners, sharp objects, or doors that slam shut. Don’t let kids play outside barefoot. Stop children from playing with sharp objects. Nosebleeds mostly happen in the winter when the air is dry. They can be scary, but kids actually get them a lot. Most nosebleeds will stop on their own and usually aren’t serious. Sit the child up with the head tilted slightly forward. Do not have the child lean back (this may cause gagging, coughing, or vomiting). Pinch the soft part of the nose just below the bony part. Pinch for at least 10 minutes. Contact the child’s parents only after you’ve called 911 for help. · Encourage kids to not pick their noses. · Ask the parent if the child has nosebleeds often and what triggers them. · Ask the parent if the child is taking a medication that may cause nosebleeds. Sunburns can happen after just 15 to 20 minutes of sun exposure. 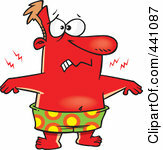 However, symptoms of sunburn like redness and skin discomfort might not be noticed for a few hours. Sunburn may not seem like a big deal, but repeated burns can lead to skin cancer. Take the child out of the sun right away. Apply cool compresses to the reddened areas as often as needed. Apply a moisturizing cream or aloe gel to provide comfort. Call 911 immediately and then the child’s parents, if the burn is severe. Don’t let kids play in the sun between the hours of 10 AM and 4 PM, especially without the use of sunscreen. Use hats, sunglasses, and other protective gear on kids. Apply sunscreen that blocks both UVB and UVA rays and has a sun protection factor (SPF) of at least 30. Apply sunscreen on kids 15 or 30 minutes before they’ll be playing outside in the sun. Re-apply sunscreen 30 minutes after kids have been in the sun or after they’ve been swimming or sweating. I found an article written by V. JEANE WOOLFENDEN entitled “Tending” in the July issue of the New Era back in 1972, I took most of it from there and revised it to better fit our needs today. I plan to share this with my own kids and also share it with my Activity day girls. *Reminder- this blog is written for fun and is in NO WAY responsible for a babysitting job gone bad! I am simply putting ideas out there to help with learning, and becoming a better and more effective babysitter. Listed here are only a few ideas to help with babysitting and in no way want to suggest that this is all you need to know about babysitting. If you are planning to babysit- talk to your own parents, or leaders on what to do to be better, and if possible inquire at your local 4-H Extension Service to see if a class is provided to better educate yourself, your child, or others to become a more competent sitter or caregiver. Now in your “tween-age” to teenage years, is a time of powerful and lasting training. You learn important homemaking skills, you learn how to study and achieve, and to do an endless number of creative things. You have opportunities to develop your skills in caring for children. As a potential mother, you gain valuable knowledge and practice while tending younger brothers and sisters, nephews and nieces, or the neighbor’s children. When parents have responsibilities away from home or go out for an evening together, attend the temple, or when mothers go off to Relief Society activities or care for a sick neighbor, your help as a baby sitter is essential. But no matter who the children or what the circumstances, there are guidelines to follow. Think before you accept a babysitting job. No young person should accept tending jobs too young. Parents should always be consulted when a prospective job is offered. Your parents are the best judges of your ability to handle younger children. Never accept a tending responsibility from anyone whom you, your parents, or some trusted friend does not know. Never accept if you do not plan to keep the appointment. Tend only when you are in good health. Accept every worthwhile opportunity for the fun, for the experience, and, if you must, for the money. The learning you gain and the assistance you render will be well worth your time. Be courteous to both the parents and the children. Be the high example of Latter-day Saint standards that you are expected to be. Respect the property of others. Unless you are invited to eat a snack-specifically left for you, never eat anything in the house or take the children to a store to buy something to eat. If you are tending the children during mealtime, ask the parent’s instructions concerning how to prepare the food, how much to serve, and if there is anything special you should know about the eating habits of the children. Never use the phone for extended personal calls or texting. Never invite friends to drop in or call or text you while you are tending. Observe the house rules established by the parents. For example, if the children are not allowed in the front room to eat, they should not eat there while you are tending them. Be sure the children are in bed by the time their parents want them to be. Have an understanding with your parents and the parents of the children you are to tend concerning what you will be paid for the evening before you accept the job. Always be kind and loving to the children; use the outer limits of your patience, and think of them first. Keep calm—you have to be in charge. Before the parents leave, find out where they can be reached and ask for a list of phone numbers you can call in case of an emergency. 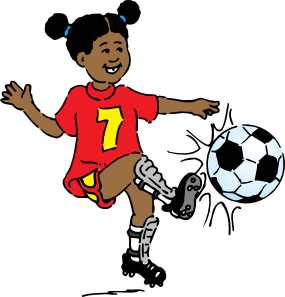 Be aware of any physical limitations the children may have and what to do if they should need special care. Know some practical first aid. The best thing to do is to prevent any accident by watching the children carefully. Good Babysitters should have a clear understanding of emergency contacts, rules, allergies, and bedtimes and more. We also contacted a local EMS First Responder in our area to come to teach the girls a few basics of how to be prepared for an emergency and what to do till the ambulance arrives. What Can I Do with the Children? To a child everything is new and exciting. To them life isn’t dull, learning is still fun, spontaneous, and exciting. Children have boundless energy to throw into everything they do. They play with fascination, quarrel with determination, and pursue any accepted project with deep intent. Because of their energy, it is sometime hard for them to concentrate for a great deal of time on any one subject. Success in tending children includes variety, involvement, and a keen eye on the children’s particular interests. Try a few of these activities– read them ahead of time, so that what ever activities you choose to do – you can have all the item necessary to play the games or do the crafts. Keep an eye out for more fun things to do. Get a medium sized bag to make a take-along-happy kit. Use this to collect things like crayons, coloring books, puzzles, blocks, balls, jump ropes, construction paper, blunt-tip scissors, colored pencils, Silly-Putty/play dough, scratch paper, story books, glue sticks, froot-loops/rainbow/cheerios cereals, string—anything that would be fun for children, easy to carry, and safe to play with. You may find it fun to collect an idea file of things to do with children. The Friend is a great magazine for ideas; take one with you if it isn’t already in the home. Another fun activity is to take games that the family may not have , but be careful about any “prizes” that you bring- remember parents might have guidelines about candy, toys, stickers and stamps. Problems—What Do I Do Now? Sometimes baby sitters find that the children just won’t behave. Your best bet is to find out why the children are naughty and lovingly treat the cause—never strike out at the symptoms. Never lose your temper! Often children get out of hand simply because they’re bored. Keep in mind that the area of discipline is a very sensitive area, and the parents’ wishes should always be respected concerning their children. Keep the children busy, happy, and safe, and you shouldn’t have difficult discipline problems to deal with. Leave with your parents the address and phone number of where you will be tending, and tell them the approximate hour of your return. Make sure you have a safe and prompt way to return to your home before you ever leave. Dress properly and within the standards of the Church. A modest pants outfit would be appropriate, especially when you play with the children in the yard or on the floor. The children always come first—you should tend them… focus on the children and having a safe and good time with them and not be focused of the time when the parents return. Be happy! Children notice and will be happy too. Be excited and enthusiastic—it’s contagious. Remember there is never a time when you are in the house with children that you are not communicating with them in some way; everything you do is teaching the children. Have fun with the children. Play with them. Let them help choose what to do. Get to know them and enjoy them as people. Involve them, listen to them, and learn from them— you’ll have a ball! This black and white image, Mom And Little Kids, was donated by the artist, Chris Gunn. Click to read more about Chris. Karen C. shared this document that is a First Aid True or False Test. Good handout for a mutual activity or camp preparation. 1 page, 8.5 x 11 inches, black and white. 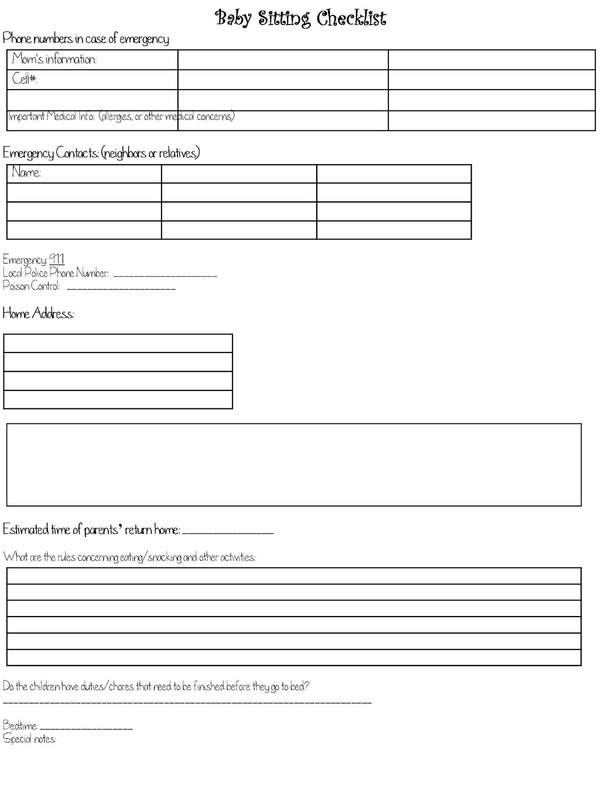 Karen C. shared this document: “On the Emergency Contact Information document, I got the clipart from another handout on your website. I laminated these for the girls and attached a dry-erase marker to them so they could re-use them when they went babysitting. 1 per page, 8.5 x 11 inches, color.